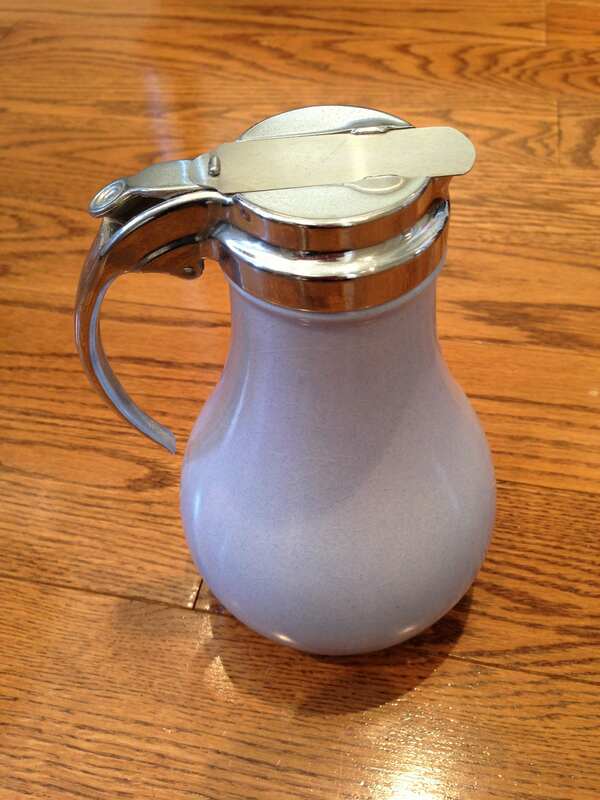 Today I’m giving away this Wedgewood syrup dispenser. 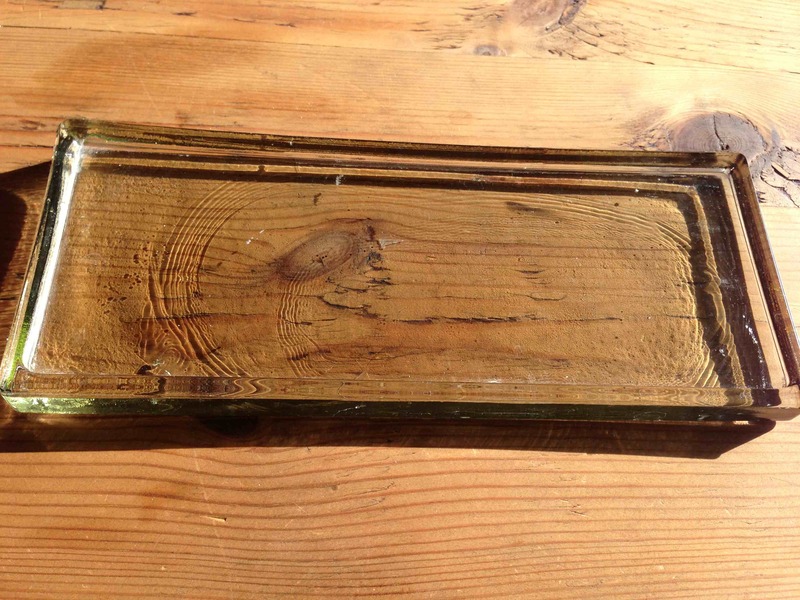 I got it at an antiques fair the year I bought the cottage and thought I would use it all the time, but we always just put the syrup on the table (heathens right?). Maybe it would be different if we had a dishwasher. Anyway, I have a friend who sets a beautiful table and has a great farmhouse where she feeds large groups of friends and family, I gave it to her as part of her birthday present. I’m continuing my pledge to give something old, handmade, or an experience. 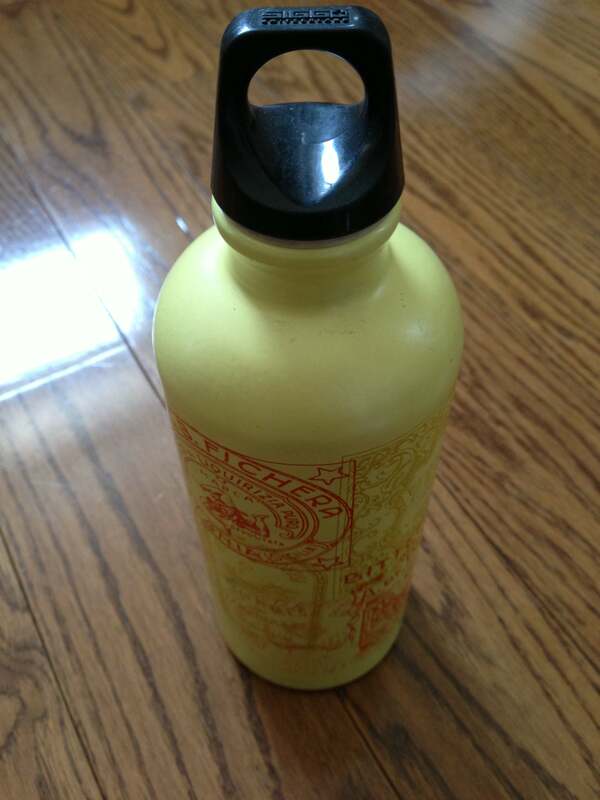 Today I’m giving away this water bottle. I have several so this is definitely a spare. Also it’s one of the early ones that was identified to have a liner that might contain Bisphenol A (BPA). See yesterday’s post. Like the plastic jug from Saturday, I will pitch this too. 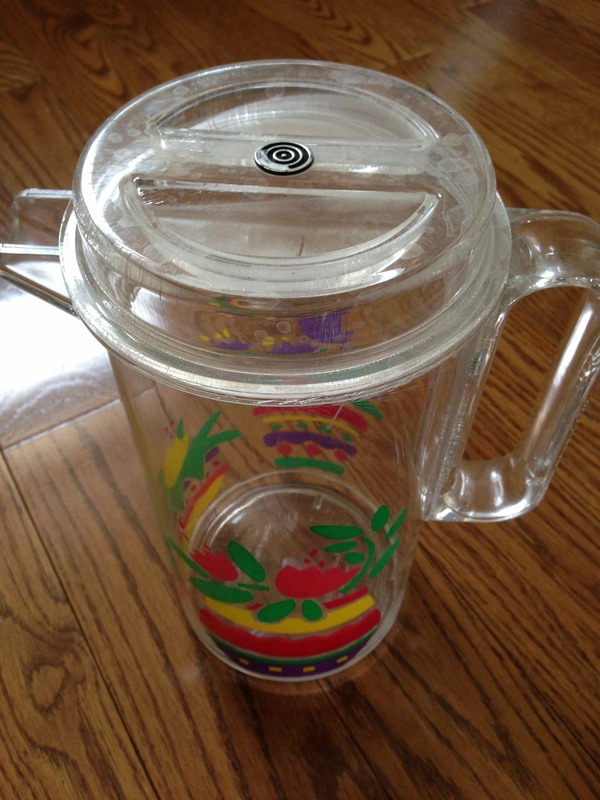 Today I’m giving away this plastic pitcher. I think it was a hostess gift for an event at my place about 20 years ago. I don’t use it, although I remember matching glasses that I don’t seem to have anymore. 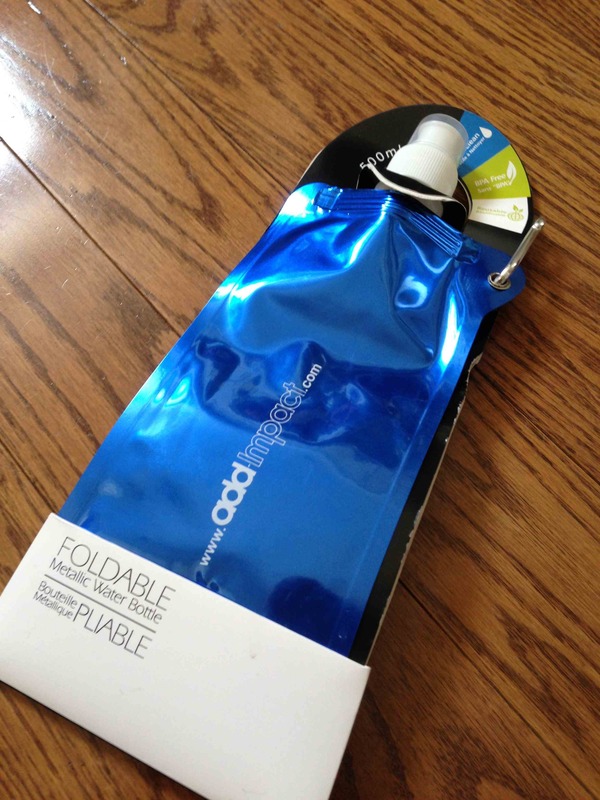 I am pretty sure this is the kind of plastic that was made using Bisphenol A (BPA). Wikipedia describes BPA plastic as clear and tough and used to make things like water bottles. Canada was the first country to declare BPA a toxic substance (possibly the only environmental leadership the Harper government will show). It has hormone mimicking properties so is particularly hazardous to fetuses and young children. I’m going to throw it out. If it goes to Goodwill, it could end up on some kids’ kitchen table full of Kool-aid. 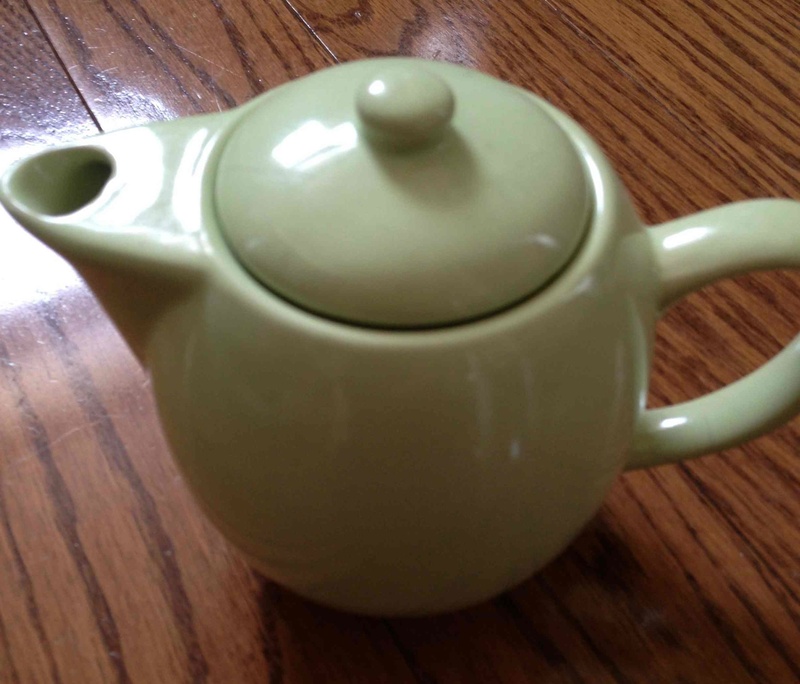 Today I’m giving away this excellent tea pot. It has a built-in infuser, makes enough for a large mug and was a gift from a good friend who I am actually seeing tonight. I’m giving it away because I keep re-breaking the lid every time I use it. I repair it and then break it again. It is kind of driving me crazy so I’m putting it in the Looney Tooney sale box for my nephew. I now use a cheap little pot that I bought at T & T but it makes great tea. I will explain all and ask for forgiveness when I see her tonight. 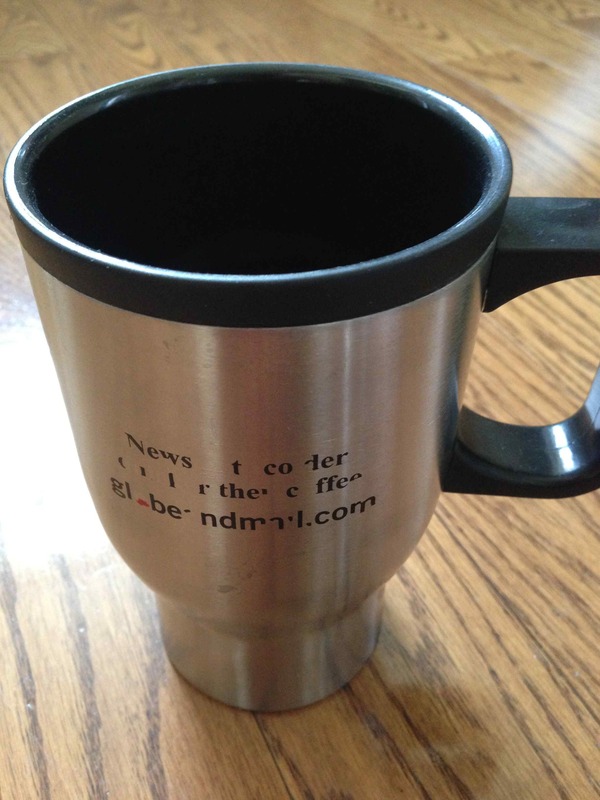 Today I’m giving away this thermal cup. It was from a globeandmail.com promotion which makes it about 12 to 15 years old. I used to use it because the narrow bottom meant it fit in the small cup holder in my old car. I don’t know where the lid went, it’s pretty useless without it. I know… why do I still have it? Truth is, it was tucked in the corner of an upper kitchen cabinet and I don’t get up there all that often. I should probably pitch it but I’m putting it in the Goodwill box because you never know. Today I gave away this pretty lunch bag. I really like it. Partly because it was given to me by my most excellent sister in law and because it’s a good size and has a thermal lining that keeps food cold or warm. Also, it’s canvas on the outside so you can clean it easily. I used it a lot but I’m not taking my lunch any more and my sister had an extreme need. 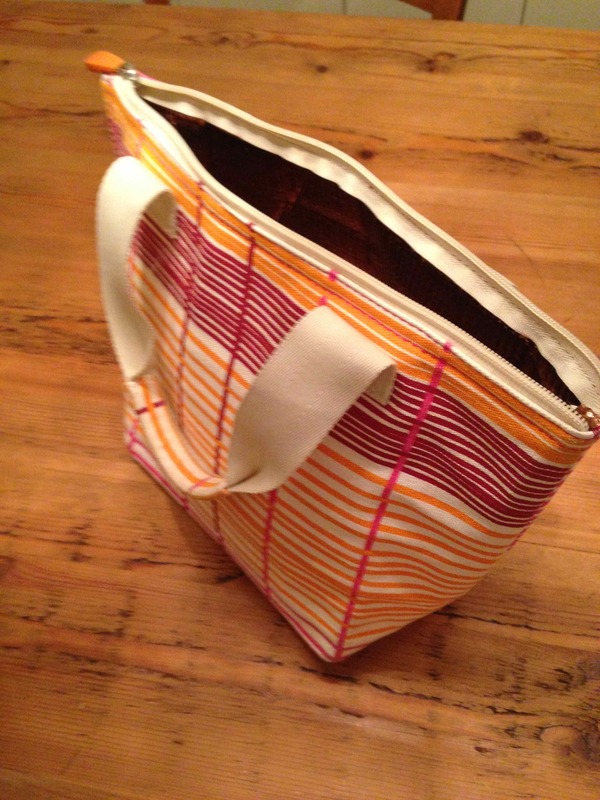 Her lunch bag exploded or imploded with something nasty and became unusable. It was a loss since she takes her lunch every day. She was so grateful when I said I had one I wasn’t using, I had to give it to her. A good lunch bag is a great thing, it will inspire you to fill it full of good healthy food. If you don’t have one, go get one. This one’s gone to a good home. 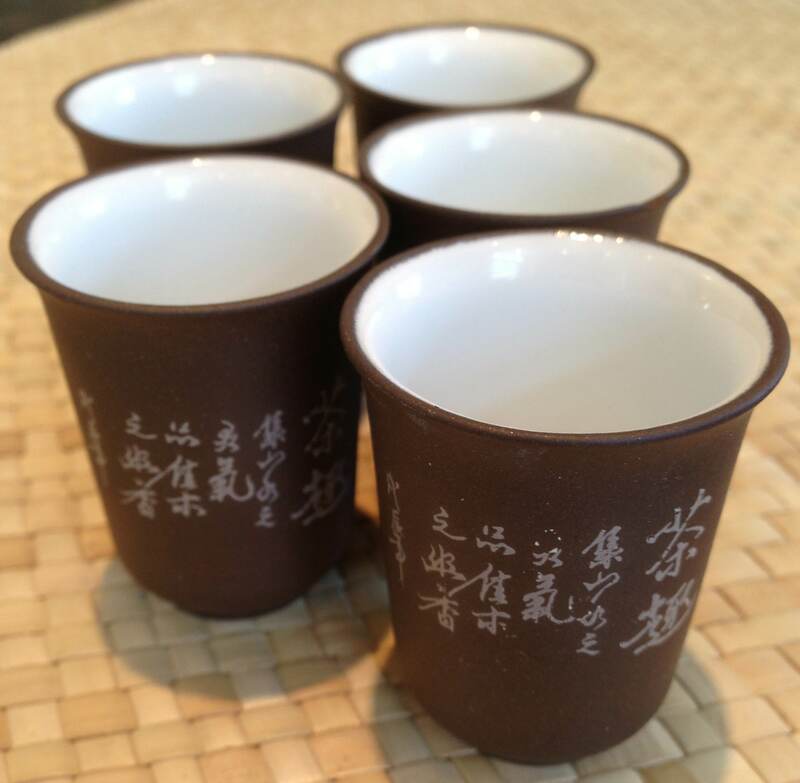 Today I’m giving away 5 sake cups. 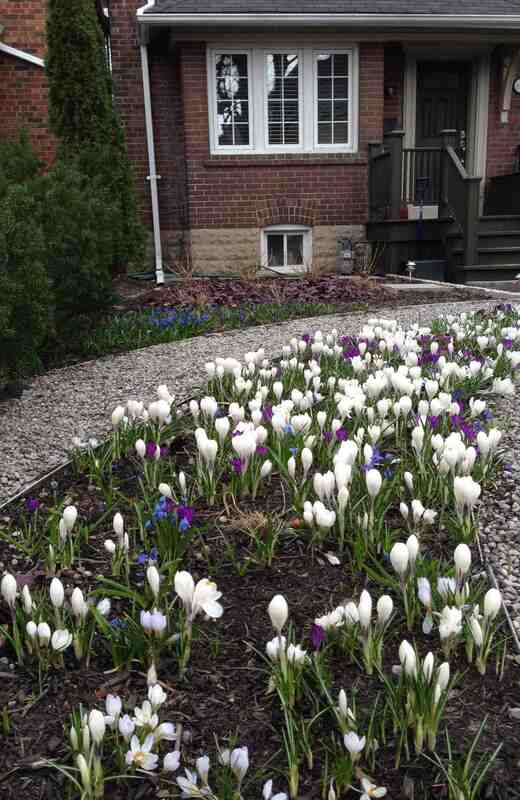 They’re really pretty and very wee. My sister gave them to me many years ago when she was cleaning out her kitchen. I do a fair bit of entertaining so she thought I was more likely to use them than her. I’ve never used them. Well, actually, I used one as an egg cup when I needed one more than I had. It did the trick. I offered them back to the sister who gave them to me and she didn’t even remember ever having them… she said no. I’m putting them in the Goodwill box.